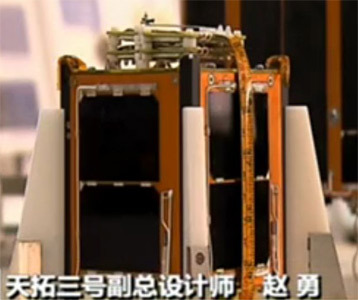 NUDT-PhoneSat or CAS 3I (Chinese Amateur Radio satellite 3I) is an Chinese experimental pico satellite developed by National University of Defense Technology and CAMSAT. The satellite is based on smartphone technology. NUDT-PhoneSat was launched in a cluster of 20 satellites on the maiden flight of the CZ-6 rocket.